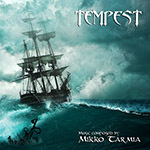 Tempest is a soundtrack album for a cancelled adventure game, composed back in 2004. 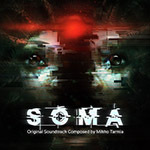 SOMA soundtrack album, composed by Mikko Tarmia, contains a selection of music tracks from Frictional Games' survival horror game SOMA, including several tracks that were left out from the game. 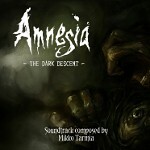 This soundtrack contains a selection of music tracks from Frictional Games' critically acclaimed survival horror game Amnesia: The Dark Descent, composed by Mikko Tarmia. The album also includes several music tracks that were left out of the game. 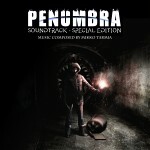 The special edition soundtrack contains a selection of remastered music from Frictional Games' award-winning Penumbra series. Mikko Tarmia's essential soundscape has been consistently lauded as one of the series' greatest achievements. 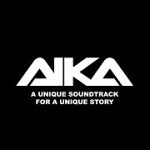 AIKA is an atmospheric orchestral soundtrack wrapped around a philosophically inspired science fiction story written by Tom Jubert. Its scenes are described by the moody music composed by Mikko Tarmia, Paul Houseman, Michael Law and Ari Pulkkinen. Lavish illustrations, created by Tuija Fagerlund, will accompany the music and story.